Part 1 , Part 2. If they do well, and survive for a time, they can pull together some of the other mercenaries participating, as well as some of the other non-historical people participating, and create a mercenary company. These can be quite different from each other. The last one I looked at was founded by Oddom Weatherbrass, whose great grandmother was a bookkeeper who feel in love with a necromancer, became obsessed with her own mortality a few years later unrelatedly, somehow , and began worshipping the skeletal death god Rakust. Kadol received Necroskull, a slab with the secrets of life and death, from the god and became a necromancer herslf. She was murdered decades later by a criminal assassin and so forth, but the important point for this log is that she had a large family and they were all death god worshippers. Oddom was devout, and after a few battles, she founded a mercenary order devoted to the worship of Rakust and dedicated to the mastery of the mace and the battle axe, the mace being her favorite weapon. Over several battles of recruitment, they came to have over sixty soldiers non-historical converts, as it was hard for them to find co-religious historical people , created a treasurer position to manage the income taken by daughter Inod , founded a fort which they inventively named Necrodie, and there constructed the Chapel of Oblivion for the worship of Rakust. Pilgrims, often from their extended family, but sometimes from other necromancer families, often visited the Chapel to pray, and sometimes became prophets and formed their own religions and temples in other parts of the world. As a mercenary order dedicated to a few weapons Oddom valued skill, like many dwarves , they had honors which they bestowed at various skill levels and other milestones battles, kills, years of service. Her mother died a few years later fighting in a battle, opposed by the Oily Spikes, a militant religious order devoted to the wolverine mountain goddess of the dwarves. The death mercenaries fared poorly overall here The group was officially disbanded at that point this can also happen after heavy but not total losses. Other mercenary groups focus on military tactics, leadership and organization, and others rely on stealth, and can contract out their members individually for thefts and assassinations. The most versatile companies can do all of the above. Aside from forts and temples, mercenary groups can also spend money to upgrade the average quality of their equipment; this impacts their performance in battles but also increases upkeep costs. When groups disband, the survivors can rejoin other groups, though they often take some time off when the Oily Spikes ran into trouble and disbanded after 20 years in action, their founder went off to have a peaceful life as a butcher in a nearby city. Individual mercenaries can also use their money to upgrade their own equipment. This typically happens before their company if any steps up, but a wealthy company can pay to equip joining members if they are behind. After cleaning up after myself, I started in on bandit forts as a preliminary to villain hideouts. The bandits were also horribly bugged, but now the largest groups can make forts out in the wilderness somewhat near to the civilizations they are associated with. Hopefully life here will be calm for a time. I was just looking at the ruler of one of the goblin sites, Nguslu, notable for being a war buddy of the demon lord to the extent demon lords respect the buddy notion , who hammered out a villainous life like many goblins for 68 years before being assassinated by a dwarven mercenary Dodok Ochrevises. But perhaps we should talk about the king of the dwarves, Aslot Sinentered, a goblin, ruling for the last 55 years. Back in the year 24, 21 years before his reign began, Aslot was a bandit, like Erush or any of dozens of others. He operated near the dwarven capital of Targetroad, and his first attempt at villainy was to try to extort money from the broker Nish. The chief medical dwarf, Erith? Over the next ten years, Aslot only managed to subordinate Reg Figuresavior, the tavern keeper of the Chestnut of Spices, and Reg went on to do absolutely nothing of value for him. Aslot set the liaison to work immediately, using the new access to attempt to turn the until-then unapproachable General Mafol. It was at this point that Aslot first thought about seizing the throne, but it seemed hopeless. A few insiders had less than a fifth of the pull necessary to orchestrate something that grand. General Mafol was killed by an elven grizzly bear in 45 leading the defence of the fortress Shipskunk. The dwarves won the battle, but several barons were killed. The deposed queen was imprisoned in Targetroad, though the gracious King Aslot later gave her a minor barony where she lived out her days until a quiet death in Besmar became a countess, then a duchess. She married Alath, but they divorced after thirty years. He remained outpost liaison under Aslot until his death in Dumat remains the diplomat, where she regular competes in battle axe throwing competition with Duchess Besmar. Over those forty years, King Aslot fiddled with his network and attempted to control his subordinates with varying success. Several coups were idly plotted against him, but nobody managed to turn more than one of his now numerous landholders. Aslot used new asset Id Steelarmors to send a message to famed assassin Nushrat Exitrulers to set up the job. Nushrat performed the job flawlessly, her fifth kill earning her the name "Nushrat Exitrulers the Sacrificial Gaze. Nushrat was a human criminal born in the town of Focusesteem, where she learned to skulk about well enough doing petty crimes, though her most notable achievement by then was being boxed in the face by a cyclops and losing some teeth. Unsurprisingly, she failed, but somehow survived, and continued learning. This time, Nushrat was successful. Next, the harrowing job of killing a goblin lord for a goblin bandit in a dark fortress, but Nushrat was getting good and pulled it off. In 80, it was the captain of the guard of a dwarf fortress, marked for death by his own mayor for refusing to ignore the embezzlement of the chief medical dwarf of which the mayor was taking a cut. The mayor was a goofus styling himself "Azmol the Lone", but Nushrat never met him, just his messenger, a local mercenary who the mayor later appointed the broker. In 81, five years before the job for Aslot, Nushrat put her stealth to use on a side job for the bandit Snang Beardplague. The Contemptible Straps was a famous copper short sword, made in a strange mood by dwarven weaponsmith Onul Playedcrafted sixty years before. Onul offered it to the Queen not Queen Ducim, we are with other dwarves not far away. When the hammerer died in 81, and the Contemptible Straps was found and restored to the fortress, our bandit Snang, who had been pining after the sword for years, wasted no time and hired Nushrat to swipe it for him. She did this easily. Snang still carries it. Nushrat carried out three more assassinations after her work for Aslot in Then she stole three more artifacts. And assassinated two more people. And lives happily at age 97, never married, with her seven remaining children, waiting to take a job to come to your fort and take your things or deal with your pesky sheriff. Or somebody like her. Interestingly, none of the major historical events described were precipitated by large villainous networks, just the networks that were well-placed or lucky. Osnun Enddungeons and Atera Ivoryowl were both running ten people and I have no idea what they were up to. Ah, Atera was a druid! But I should stop now. In the year , the most extensive network was run by a secretive figure known only as Earthhells the Bewildering. They have members working in several towns and fortresses purple is the leader, red is a member, yellow indicates a corrupt official. As usual, the fortresses are just a few pixels; there are three colored here. Lomoth encouraged Aban to look around for other opportunities while continuing to skim supplies from the bookkeeper. In fact, Ducim the bookkeeper got fired no hammering yet! Earthhells, in the meantime, took the brazen move of looping her own father into criminal schemes, got him to talk Manager Uzol into skimming some money from his position. As before, Captain Momuz found out Manager Uzol before long, and he scampered off to become a tavern keeper in some distant fortress. The priest involved three more locals, and Earthhells convinced a ranger, Dastot, son of the bookkeeper, to get involved before the firing. This ended up being quite a catch, as Dastot became an agent for the dwarven civilization not long after. Before leaving on his first mission, Dastot failed to corrupt the broker, but got the chief medical dwarf, earning enough trust with Earthhells to get the go-ahead to try to run his own network. There would be no more firings of corrupt officials. Sensedtraded was lost to criminality, at least while Momuz was around, but there were still a lot of honest dwarves. At one point, Earthhells tried to get her mother the militia commander to join up, but she was having none of it and never trusted her wayward daughter again. Afterward, Earthhells moved to the nearby fortress of Netpleat. Captain Deduk was never known to turn down a bribe and would be even less trouble than Momuz had been. In 59, Dastot received his first assignment from Queen Erush, to infiltrate the human town of Bunnyvise on the goblin border. Dastot took on the identity of a monster slayer and went to work, doing Earthhells business on the side, acquiring a cut of embezzled funds from the Chief Chamberlain in He acquired a few new members for the organization, the most notable being the goblin Ber Larvalmenace. Ber was unusual as the child of a goblin spy posing as a merchant and her local goblin lover; Ber stuck with his mother Azstrog while she was on assignment, so never acquired citizenship, and just sort of hung around town without a job when he became an adult. At the time, Dastot and Azstrog were using each other for information as part of their agent duties, and Dastot eventually recruited Ber for the gang in the year 69, when Ber was He was terrible at the job, making three failed approaches on Bunnyvise officials; when he finally turned the Chief Cup-Bearer Shorast, in the year 95, it was short-lived, as a cyclops killed the official in While all that was going on, Earthhells was growing the network in Netpleat. Earthhells was still a butcher, and then a tanner, and eventually became the alderperson of the tanners guild. The reliable Captain Deduk died in In year 99, when we were winding up, Earthhells even decided to get her hands dirty, and started embezzling money directly from the guild. That should be fun. Prophets could already do this with monastic orders, and that has been improved by giving these orders the ability to find sponsors for the construction of a monastery, whether the sponsor is a religiously-aligned government or a merchant company or craft guild with aligned leadership. The prophets can also convert portions of the population to non-monastic religions as well now. This leads to small-scale infrastructure production, as in the last devlog. Once the feedback loop has created enough infrastructure in a market-sized town, a temple can be built, and a high priest is elevated. Additionally, priests can convert people along trade routes and local market connections, leading to additional priests and temples springing into being over time. Once two temples have been built, a holy city is designated and a third level of priest arises there, above the high priests. In my first test, a war-and-fortresses religion sprang up in a dwarven hillocks, and the prophet managed to get it adopted by quite a few people in the associated fortress. For some broad examples, I ran out a medium-sized map years. At the end of worldgen, there were 90 non-monastic religions as well as 39 monastic orders. Seven of the religions had risen to the point of having full three-level priesthoods with multiple temples and a holy city; the largest of these was either the Rainy Sect with 10 temples and priests, or the Cult of Pages with 7 temples and priests, depending on how you count, noting that the many priests are each in different sites and are historical figures drawn from the proper religious segment of the population or from believing historical figures, with all that entails in terms of individual interlocking storylines, though their personal conversion stories could certainly use some any details. Sacred Flier, high priest: High Cloud, holy city priest: Holy Cave, high priest: Exalted Rock, holy city priest: Absolute Lilac , and the Sect of Controlling. Take these two religions, the Romantic Faith and the Adorable Creed , founded within five years of each other a century ago in the same dwarven fortress by two different prophets of the birth god Zefon. But there are many adherents to either faith. The largest templeless minor religion is the Armored Fellowship , a three priest dwarven fortress god religion with two fortress branches, a hillocks branch, as well as believers in four human market towns and an elven market town they picked up on the trade routes. There would be a small chance for these to spread out to the human and elf villages from those markets, but priests on-site would really have helped speed that along. The major faiths managed that transition. The current setup that the big market cities have usually one large temple and nothing else, religiously, and that smaller sites have nothing has been changed. As an example, I ran a small island, where we have the towns of Bunnygears and Wiltconfuse. These towns both started human, and are both located in the north of the island, surrounded by dwarven hillocks and fortresses. This is reflected in the new infrastructure accounting, with each town having a substantial minority of its shrines and statues depicting dwarven deities. This happened because the ruler of Bunnygears for the last 47 years has been Baroness Erab, an ardent worshipper of Ashi Mirthumber, the aforementioned god. Bunnygears also features many small religious structures specifically related to the Fellowship of Sheens, an Ashi-focused religion that coalesced about halfway through the fifty year period we are considering. The state historical figures and populations can build new infrastructure, and the infrastructure sways the demographics of the populations slightly. In the case of Bunnygears, this leads to any historical figures that come from the dwarven populations to have a decent chance of being at least casual Ashi worshippers, perhaps even Fellowship of Sheens members, on top of having their traditional beliefs in the dwarven pantheons. The dwarven shrines etc. Even as it stands, the fact that historical figures are much more religiously distinct makes the potential plots more interesting. But I do want to say that a whole lot of people are not in my position, where insurance will cover part of the cost. I just want you to think about all the people left out in the cold during the holidays. Thanks for supporting us, and Congratulations to the generous! Dwarves and others are variously tempted by e. It needs more work to be a good-enough model for crime, but it works for now. For the record, the first corrupt person in Dwarf Fortress was Irne Locksnarl, a human from Postrushed. He was a miner, then a bard, but when the opportunity to become the chief chef of the entire kingdom opened up, he took it. After being tempted several times over the years, finally, after fifteen years in the job, Irne began scheming a bit extra out of the kitchen budget. One can imagine a few things a villain could do with that information. A new Threetoe story! But I am back, bearing worldgen civic positions and craft guilds and guildhalls. I also did the market-town nobles and did the court positions for them. So we just have religion and corruption to go before returning to villains. Got most of the way through the castles and nobility changes and will be turning toward some link-building additions for the town government and industry. For instance, a human trading company called the Present Hall was wildly successful trading various leathers and bones for crafting, and eventually had enough clout to open a branch warehouse inside a dwarf fortress for the first time. This turned out to be a strategic error, as two short years later, a forgotten beast obliterated the fortress, the warehouse, and killed everyone inside. Close the destroyed branch? No, no, you stimulate the non-existent economy by hiring local. Those sorts of fixes were straightforward, but more time was burned with screwed-up resource lists, naming problems and some stability issues. After muddling through that, we were going to move to some basic religious organization and link formation, as mentioned last time, but we instead decided to pause and nail down the boundaries for this pre-villain spree and reassess the proper order of implementation. The demands of a proper-feeling feature lead us on such journeys from time to time. At their peak, the companies will form multiple trade outposts in other civs along the trade routes to facilitate more cross-civ link formation. The YouTube link to my specific talk at the Roguelike Celebration has been posted. Thanks to Noah and the team for setting up an amazing event and allowing me to go on about vaguely relevant topics. My talk will be posted at their YouTube channel in the coming days. For now it can also be found on Twitch. Due to the nature of the event, it focuses more on adventure mode, but of course much of the material applies to fortress mode as well. A Future of the Fortress Part 1 drinks the magenta potion. A Future of the Fortress Part 2 sits on the throne and vanishes. Now a competition which occurs in a city linked to another peaceful civilization by trade can accept competitors from that civilization. After that was implemented, we even had a dwarf and elf become friends, before the war started. I also allowed the variable-position cultures humans and goblins to form many more administrative positions to give them layers for the intrigue to operate over the dwarves already have many layers, from the bookkeepers over to the landed nobles and monarch. Now they can end up with a keeper of the seal, a royal justiciar, a chief housekeeper, a master of beasts, and many other randomized possibilities, depending on the values of the culture, its permitted professions and other traits. The positions overlap with the current dwarven responsibilities, though there are a few new ones. In a smaller island I ran for years, I picked out the first human I found with a second marriage to start digging. This was Zicab, a ranger in her youth who quickly decided to pursue a life of poetry. Her first relationship, with a fishery worker named Innah, lasted for three years. During the marriage, Zicab began a poetry apprenticeship under Kifino the elf, a member of the Maligned Whispers, a performance troupe which operated out of goblin territory. The next year, Zicab met the high priest Rozmo of the Pungent Coven, worshipper of Pastro, goddess of misery and torture, and they were married before long. After producing three notable poems, Zicab was murdered by a goblin armorer in the pits who was later devoured by a giant lion, so that has a happy ending. After the apparent rite of passage of being attacked by Shedim as a toddler, Nulce joined the Pungent Coven and became a farmer. The elves were often attacking these communities, and Nulce proved herself in the Clash of Growling, becoming the General of the human civilization, the Union of Creatures, a few years later. The elves attacked again, lead by the immortal tactician and notorious tamer of giant mosquitos Princess Salo Larkfires, and during the defense of the outlying town of Goodbinds, Nulce was struck down by an elven elephant, and later put to rest in the Tomb of Shields. Before the tumult, Nulce had been involved with a poet and local lord named Uthal, and together they had two sons, Urwa and Kammat, and a daughter Artuk. Urwa became a bandit after being played by a goblin spy, and Kammat also took up a life of crime, but Artuk became a farmer and Pungent Coven member like her mother, and also fought in the elf wars, where she formed a close friendship with a woman Athrab, who would later marry her widower step-father Rozmo the priest. Artuk soon gave up on fighting, and became a poet like her father and grandmother, moving again to the goblin pits, where apparently all poetry in this world is written. Then Salo Larkfires and the elves came again, in , this time attacking the goblin cities with giant great horned owls and badger people. Under elven rule in the pits, the threat of being murdered like her grandmother passed, and Artuk died of old age around the end of world gen in She left behind her long-time lover Ip and their four surviving children the two youngest being swamp titan worshippers with elven childhood friends , as well as an elven apprentice of her own. As for the child-hunting hag Shedim, after turning the tables on seven monster slayers, she finally met her match in the slayer elf Nemile Shellsfair, a veteran of every battle of the elf wars, who was only outdone herself when she challenged the bronze colossus joining other notables, and two cities. The elf warleader Salo Larkfires, born a few years after the world was created, is still alive. She never had a romantic relationship, but had three close childhood friends: The first of the new worldgen links to come in was childhood friendships. This performed its function of connecting people up admirably; after years in a small world, one third of the historical figures had at least one childhood friend. Then came the war buddies. War is sadly common in the game, so this also worked pretty well, and unlike childhood friends, these relationships are more likely to cross site boundaries. Along with family, this was almost enough to tie members of a civilization together. After that came the worldgen romantic relationship rewrite. Worldgen marriage is no longer instant. But that will be a subject of the next log, he he he. Specifics are still cooking. Should be up tomorrow. Up until a few days ago, we had that for an entire week, and it was awful. Hauling more furniture, then laying down for hours with an acrid tongue short of breath, unable to open windows to cool the room down. Visiting Grandma in the temporary care facility for her 95th birthday; she broke her hip picking blackberries last week but should make a full recovery. In order to make the networks which exist when worldgen ends rich and diverse, we have to bring a bit of parity in. Nothing too drastic, but some interpersonal drama and some new positions, stuff that forms links. I will report back with implemented specifics from the grab bag next log! Everything will be fine. There was even dwarfy animal hauling today, involving Tuklus and Evie the cats, the guinea pigs Bowie and Sid, and Salvadora the iguana who was moved in a cat carrier separate from her cage. Despite all the minor adversity, the world gen villains are chugging along. Moreover, that necromancer was motivated purely by her zany sense of humor, which somehow survived the transition to ageless and evil immortality. The world also had a dwarven mayor going by Bandmist the Evil, unusually obsessed with intrigue. For old hands that noticed: This is Future of the Fortress 1. This is Future of the Fortress 2. Use horses and other pack animals to carry the extra weight, packing items on to the animals, friendly and functional critters. All of that seems to be working correctly. These same command structures will be usable for giving short local orders to your party members and other companions when I get to that, conveniently. Though it is odd that that makes them all like little horses and horses made it there first. The plans for villains as they stand now destined to change and otherwise run into obstacles: We already have all of the characters we need: Most likely, there will be many networks operating at once. So our first major goal will be to make villains enthusiastic network builders. This will require us to understand loyalty and trust in-game a bit better than we do now, but a lot of the existing reputation and relationship systems will help when it comes to other important factors like love, fear and respect. Due to the structure of these links, the web will always connect back toward the villains, at least while one actor is alive in each link. Each plot will have a specific goal, as well as relevant locations, objects, and so forth, all there to be recounted by a captured agent, or used to taunt you when you fail to stop them. But plots can also be aimed toward adding another layer to the network. If a visiting agent has turned a fortress bookkeeper, the bookkeeper can attempt to compromise their friends, family and other position holders. Naturally, we need to prevent high-level position holders from being flipped by the first agent that enters the capital, especially in world generation where everything is more abstract. Of course, there will be occasions where agents simply get lucky, for as long as it lasts. We have plenty of levers available to compromise targets in the game as it is now, though some of them will have to be somewhat abstracted. It would be highly, highly suspicious if one of your dwarves suddenly had an artifact, but if we have the agent pass them some valuable non-artifact jewelry, would you notice? Fortunately, due to the work we did with vampires years back among other things, it should be pretty straightforward to give you means to defend yourself. Witnesses will be able to report suspicious activities; the agent will need to meet with a compromised dwarf, after all, and your helpful dwarves might on occasion notice the gifts you overlooked. You might also suspect something yourself if you see the two of them talking too often in a crowded tavern or are they just buddies? However, you must present evidence. For our purposes in the game for this time, that just means guessing right, as with the regular convictions: Failure will upset everybody in the fortress, as with the current wrongful convictions. In the interest of exposition as the game is confusing enough , a correct accusation will lead to information about the plot, as far as that dwarf is involved. Then you can send out your own agents to pick up leads on the handler, who will provide more information if captured. If somebody off in a village can topple the world, it might as well be you. The same applies to fort mode to an extent, once you can send your agents out. Now it just remains to be seen what we can get done! I also finally updated the media stuff on the links page, including the link to the myth generator talk from GDC which was apparently missing! On Dwarf Fortress, the villain planning has continued; we should be starting coding there soon, but for this week, we started adventure mode parties, equipment and mounts as a more straightforward item. Though we are planning on adding full turn-based control mode for combat purposes, which you can turn on and off, perhaps for this release as well depending on how smoothly villains go. Start with two people. Start with a few friendly dogs. Start with a horse. Start with a giant elephant. Start with three or more named shoulder-riding hamsters If you have an autosave, the offload will be incorporated into that, so autosaves might seem slightly longer if so, you are also getting the same lag reduction. This release should also improve the issues dwarves were having with negative thoughts, and they can also now experience permanent changes in their personalities and intellectual values due to events in their lives. If you have outside settlements, people will go there, and you can choose a specific one, but they might not remain there forever; at the same time, they will not return in subsequent immigration waves. The second addition is messengers. You can request that a specifically chosen group of non-position-holding same-civilization historical figure from one of your associated outlying settlements e.
You can recover occupation soldiers in this fashion. Later, the peaceful realignments might include other civilizations as well, so you could become the focal point of some human villages, for example. The outside interactions will continue to become more interesting as we go. Around 50 dwarves moved in to the new site, and they named it Reignseals. Their newly elected mayor was Lokum Bridgedrove, a historical dwarf that had ten years earlier fought a harrowing battle with a werewombat. My fortress was on a one-tile mountain in the middle of a swamp; my new neighbors sensibly founded their site eight tiles away in the nearby grassland. This should complement the new conquest mechanics nicely for people that want to grow some sprawl around their fortress without using armies. As your economy improves, the number of sites founded on the outskirts of your fort will increase as well. Being elevated now depends on the number of sites attached to your fortress, whether occupied or peacefully founded, rather than the economic trigger numbers directly. Dwarves sent on these missions will form a new site government with an administrator, just as has happened previously in the non-player battles, and the site will become part of your unofficial holdings, sending tribute. You can view all of your categorized holdings with a new map overlay that also shows the diplomacy state with other civilizations. Memories will also change in nature after a year or two; the associated emotion will change to something less extreme, and as this happens, dwarves can undergo permanent changes to their personality facets and intellectual values. For instance, a dwarf that was mortified after their clothes rotted off their body might later reflect on this incident with amusement and become slightly less interested in decorum and less bashful, while a different dwarf might react with unease remembering a similar event for the rest of their life, but also develop some empathy. Most notably, the elevation of dwarves from baron to higher noble levels was skipping count and also elevating every baron it could find on site, including those that were nobles attached to other places. Also fixed a hauling route crash. That should form the next release. Old saves might not have everything linked up at first. Hearing rumors again and so forth should make the log start to work better for them. You can also cross narrow rivers in travel now the ones that are jumpable or near jumpable at a sprint. Uncrossable rivers will display with double lines in the travel view. And here is the Future of the Fortress: Then this release should be ready to go. There are three main elements paired with several small fixes that came up along the way: Once a year passes, a short-term memory can be saved to one of eight long-term memory slots if it is stronger than the current memories , or else it is forgotten. Long-term memories periodically return to affect the dwarf forever, until they are overwritten. Dropping a boulder on somebody and then leaving my dwarves unattended outside with nothing to do for a year resulted in tantrums, depression and oblivious wandering, so it seems to be working. Bonus footage here and here. This was for the the On Doubt channel , where other such videos can be found. The Bay 12 Report is up. It also includes some other bug fixes that could be quickly incorporated. The plan is to try to get a version up fixing a Linux freeze and other issues as soon as possible upon my return, and assuming that leaves us in good-enough shape, to start in on the recently updated dev list in early April. A few raid-related crashes are fixed, as well as some strange behavior related to stolen livestock. To get the full fix for stolen livestock, old saves will need to add [PET] to beak dogs and unicorns. Join other players talking about games. Visit the Y8 Forum. Go to Forum Hide. Play with friends Powered by Y8 Account. Adjust game screen size. Add to your favorites Remove from favorites Add to your hearts Remove from hearted. Did you like this game? Confirm Something went wrong, please try again. Red House Flash Game. Dolls At Home Flash Game. Pretty Homemaker Flash Game. This game will not work on your operating system. Are you sure you want to purchase it? Character creation Hidden Object mini-games Get to the surface! Internet Explorer 7 or later. Reviews at a Glance. Rated 4 out of 5 by myyorkies from Fun The bright, vivid and colorful graphics are a highlight to this game! It follows its storyline through out, but what sets this M3 apart from all others is that by right-clicking your mouse, you change the color of your cursor, and thus, the color-coordinated icon that you are going after. It can also be played in the Relaxed untimed mode. It has HO and mini games, as well. Very cute and fun concept, but needs to be much longer. I also would have liked more variation to choose for the avatar, but overall an enjoyable game. Rated 4 out of 5 by steevographics from steevos review I love the progression of the game. Adjust game screen size. Dwarfs Menu Adjust Screen Maximize. Add to your favorites Remove from favorites Add to your hearts Remove from hearted. Confirm Something went wrong, please try again. Randi Restaurant Flash Game. Halloween House Flash Game. Luxury House Flash Game. Pastel Mixes Flash Game. Project Runway Flash Game. Questers so inclined can now sneak in from the edge and try to take their target artifact, either running away or fighting if they are caught, depending on their temperament. Continuing to handle fort expedition problems, and started a bit on the random promises list, with some XML additions as well as making the next release a little easier on utility makers in terms of finding global variable addresses. There are still four unresolved expedition issues, but then hopefully we can get started on fort artifact diplomacy! Chris Bratt of Eurogamer made a video regarding the cat tavern bug. That page also includes the longer audio interview. Dan Pearson of Eurogamer who interviewed me last year also posted a DF article. So I guess it was stealing. The seven dwarves are now caring for Obol, a four year old human they found in the goblin pits. An impressionable child, she inherited the goblin ethics of valuing power over others and her personal dream is to take over the world. Working out the various raid issues. Dwarves electing new expedition leaders when you send your current one away for a few days, lots of that sort of thing. I have yet to recover an artifact or a kidnapped child, but we should be there soon! We have little missions for groups of squads, and they can leave the map now. The current possibilities are rescue missions for kidnap victims, artifact recovery missions, and generic raids if you just want to start trouble. There are myriad issues to sort out, as expected. So we have a map up! You can get site information, travel times, approximate populations, diplomacy states and so forth. Next up, we should be sending our first squad out of the fort and into the world! Fort mode work begins tomorrow! The talk seemed to go well, I met a lot of people The burnout is real, though. I should be back together in a day or two. Then we can get started on fort mode! The main features will be the ability to send dwarf squads off the map, artifact-based diplomacy with sieging forces and others, and artifact-interested questers and critters coming to the fort. It was healthy for Bay 12 when I went there for the first time last year, so I figured I give it another go. Your adventurer can now name any of their legally-nameable objects so e.
The logs will be a bit dull while I test and correct, unless something amusing happens. The guards have moved on from interrogating me over delivered artifacts to instead interrogating their own master. I returned an artifact, and the lord took the figurine over to an empty pedestal in the hall and stood there making cheerful remarks. A guard, confused again, ran over and demanded the location of the figurine. The lord was like, "Over my dead body! 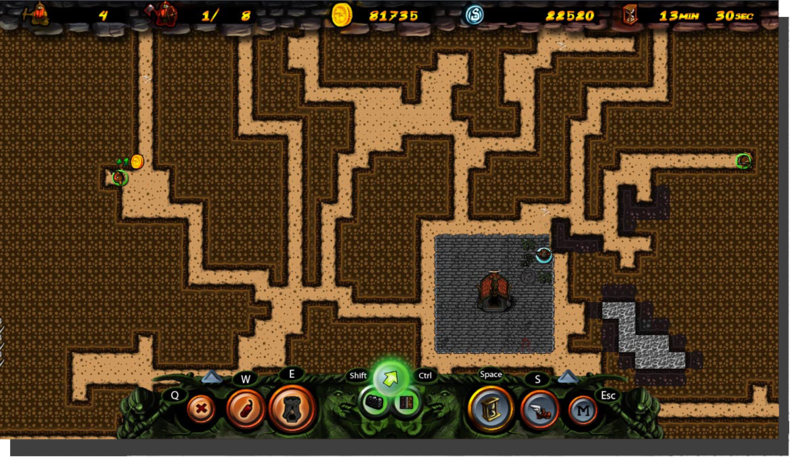 We have to polish off adventure mode, which involves a lot of testing and tweaking. There are still all sorts of strange things going on. Lots of permutations to work through. We need to handle artifact diplomacy and the sending of recovery squads off the map, which should be entertaining. Third, we need to finish the map changes I put off e. Last, there are some random requests and promises that have accumulated some memory address help for modders, a little bit of XML, a few priority bug fixes. All positive and negative reputations will be associated to that identity for as long as you assume it, unless you screw up. You can have multiple identities and flip between them or return to your true identity. There was a cascading split of various reputation data objects according to true, visual, historical and false identities, and lots of tracing up and down partial data to see where a new bit of information should be stored or what it implies. It is taking a while to sort it out. Where the game previously formed a single set of reputations for one historical figure, people can now give different answers for the true historical figure and each identity, as well as what they think on sight which may or may not involve any names -- they keep track of which identities they associate with the physical appearance. For example, if the player robs somebody without saying their name, a problem with the new system was that only the people that witnessed the event thought ill of the player even after a few days, since other townspeople could no longer make the link between the player and the event. A Future of the Fortress reply and the report. We finished up the monks and other new critters, and today was the first real day engaging with agents enjoying their new covers. The last agent I looked at involved a human town on the border of two separate evil lands that was itself half-goblin by year Kutsmob Dentblack decided to assume the identity of a prophet of Oled the Gleeful Healing, the god of justice, and wandered around town shouting about the impending doom of the world. Over the years, he befriended a human priest as well as the gangster boss that hung out at the Fragrant Brunch tavern. At the same time, a human from a civilization to the south had infiltrated the town pretending to be a petty criminal, and a goblin from the other evil civilization, pretending to be a bard, had made it in as well. It was fun to load up the world and see them all talking together with the ganglord at the Fragrant Brunch. In order for the agents not to stick out for the player, their cover professions need to be held by real counterparts. It should be good to toy around with those ideas a bit first before we get to the full implementation. For instance, a goblin civilization sought two items stolen by kobolds and one held by a dragon. And there are occasional world-gen situations where the idea works. Working a bit on the criminals in town in preparation for the even more ill-natured agents to come and associate with them. Pulling many criminals out of the sewers and catacombs and into some of the taverns and out on the streets and so on, provided they vaguely fit in to the larger community. If a situation goes particularly badly, an artifact seeker can kill an artifact holder and then actually remember to pick up the artifact to bring it back to wherever they are going, which is unusual since adventure mode characters are generally so oblivious to ground objects. Or it can be more happy. So if you are a questing adventurer bringing an artifact back to a location, for instance, you might run into other questers, guards, or entity representatives before or during your return, and they should react in some way or another without waiting for you to initiate everything. There are six levels of knowing the location of a held artifact as it stands: The knowledge fades over a course of weeks and years while maintaining longer-term reputation effects, and it also has to constantly work in any new information and so forth according to their time stamps at the individual, site gov, site culture and civ levels. But it seems to be working so far! Apologies for the lack of logs these last two weeks. We should be able to refocus on the artifact release now. There have been all sorts of conundrums and edge cases. I have a little teleporter debug command that causes the last artifact mentioned in a conversation to appear in my hands, which really speeds things up. I think the trickiest part will probably be getting them to handle artifacts held by people, especially moving ones including your adventurers , and that should be coming up after I handle the new rumors and some other issues. There are lots of conversation elements to handle too. There are various sorts -- families seeking heirlooms, scholars seeking books from ruined libraries, and so on. The next step is to get the non-player characters to respond to the messages and get the artifacts moved around by them. Then we can move to player involvement. Some of the apparently disconnected forts just has really bizarre ways to the main staircase -- having to go from the wide hallway to a side hallway, through a door, down a side hallway, through a stockpile, through a door, around a corner, and back to a wide hallway which connects to the main stairwell. Now it tries to ensure that the wide hallways are connected from end to end, which is practically enough. It would still be better to have some engravings and the ability to ask directions. Here are recordings of the streams from the two tracks at the Roguelike Celebration: Room 1 , Room 2. Direct link to our talk. Schedule to help you navigate. There are a lot of B12 tasks piled up to unbury ourselves from, but we should be getting back to work toward the artifact release again soon. The first half of this month is going to be a bit different, as there are several events in succession. Zach gained 2 XP. His fiancee Annie says he needs 4 more XP to gain a level. The game has display cases and pedestals now, in all modes. So you can set up artifact display areas, or you can just use regular masterpieces, or junk, or skulls, as you see fit. The displayed items show like the food on tables so you can admire them yourself. More as I get to each civilization! Thanks to everybody that has played the game, enjoyed the stories and supported Bay 12 through the years. On to the next decade! There was an unfortunate elven civilization called the Distant Oak that lost three druids in three years. The last one was killed by goblins and had their body hung from a pine tree, which must have made the goblins happy since they organized a yearly candlelight procession commemorating the event back at their tower. On the th occasion of the procession, the dragon Niweni attacked, killing several goblins and dwarves. Finally the beast entered the tower and stole the Renowned Gill, a legendary crossbow created by a dwarf for the chameleon demon 20 years before, bringing it back to the cave. Artifacts can now be given between entities during peace or when peace is made. For instance, in events spanning years, the periclase bracelet Lusterlabored was made by a dwarf in a goblin tower and given to the dwarven master the original demon was killed by an elephant while invading the elves. Stored in the tower for several years, it was eventually stolen by the kobold Tobogochrursnus. Tobogochrursnus brought the bracelet along on various thefts, only to be cornered by a human hamlet lord, Emim Squashchewed. Emim kept Lusterlabored as a family heirloom for forty years, but this eventually brought the attention of the same dwarven master back in the goblin tower. A war was launched, and Emim went to defend the main human city of Largeplot, where he was killed by the elf Ber who had grown up in the tower. Ber took the bracelet and assumed the position of administrator over the conquered town. She had a more or less peaceful rule for decades, until the rampage of a werehyena found Ber devoured and Lusterlabored with a new owner. We also did an interview with the Stoned Gamer. The elves routinely attacked the town and ate people, and on the third attack they drowned Thil as an example for the other humans. It only took another year before the elves returned and ate some more people, and looted the temple, taking Glowedlull back to their forest home. Hopefully all of our recent additions taken together will provide enough backing for fortress mode and adventure mode artifact interactions. The main interesting addition was a sort of family placeholder mechanic to make heirlooms work. The initial couples all get associated family structures, and then those links are passed along to the children and so forth. Of course, this opens up all kinds of world-determining issues, depending on how marriage interacts with family membership and which child has which inheritance rights over heirlooms etc etc etc, and so forth. For now, it runs an "importance" check on the family groups during a marriage -- if there is no winner, then it just flips a coin. Artifacts will pass down family lines to keep them in play longer and to set up interesting conflicts. One medium world I ran for years had a dwarven hero named Fath that killed the hydra Osplu Juicepukes. After the fight, she named her steel shield Gladdashed and it became a family heirloom attached to the Kosoth Giltmirrors family group Kosoth was an original dwarf, and by the end of world gen, that line had living members -- Fath was a grandchild. During a later koala demon invasion, a goblin named Ngokang Spideryweaver killed Fath and claimed the shield -- even though the invasion failed, Ngokang survived and took the shield back to the goblin capital of Ghoulsullied. That goblin family had 49 living members. Sometimes they are potentially useful, like the steel spear used to kill a giant, and sometimes you get an elf commemorating the slaying of a minotaur by naming their wooden low boot which presumably saved their life or something. Our first official holy relic: They placed the skull in the temple, while the rest of the body was entombed in the catacombs under the city. This would not be possible without help from our community -- you can view the exciting and sometimes late-night discussion over in the 0. This release should also make worlds generated with the same seed more consistent, and it has a few other minor fixes we managed to sneak in. The main obstacle to being through with the bit version is actually a bit version now -- we lost bit Linux with all the updates we had to do for bits. This is the culmination of years of work on Dwarf Fortress and our other projects which never saw the light of day. BAS, and are looking forward to finally being able to place the dwarves into a more meaningful, mysterious and exciting universe! Work on the bit version is ongoing. So far we have a windows test version and a linux test version. We should be almost through with Mac as well -- just need to clean up the sound library situation. That thread will also work for weird bit happenings. Linux and Mac up next! They have early bird tickets available at that link until July 17th. We also had a release-mode-only world gen crash that stopped reproducing only when logs were enabled, but that might be handled now. As part of the recent fix that brought armor back to invading soldiers and others, we need to deal with the effectiveness of armor, since there are too many fights that never end. Then the release should be ready. Stone axes will work in adventure mode again. Things are partially back together now, with the new compiler in place. Embark profiles should load fish properly instead of cancelling them all. I made dragonfire affect metal items again after a long hiatus, though fire effects in general are still a bit odd. You can now dive in deep water correctly in adventure mode. There are free tickets for general admission, as well as dinner tickets. There are lots of details over at the event page. Bug-fixing has been underway. There was an issue with the material display when building adventurer sites -- it was still counting some objects you had already used, so be sure to check the material is actually on hand when you try to build. I also stopped mountains from incorrectly restricting actions like sleeping. I cleaned up some issues with restraints and cages vs. I also fixed a few problems with mineral placement that screwed up native platinum veins in larger clusters and a few other configurations. Bees should appear in temperate forests. Glazers will gain skill properly now and improvement reactions more generally will apply skill properly. And a few other small fixes. With the work order additions and adventurer-created sites, this one ended up with more new stuff and fewer bug fixes than expected, and my version calculator just tipped over at 0. For dwarf mode work orders, you can set conditions and details from the manager. You can also create orders tied to specific shops from their workshop profiles. Then all we have left are work order job detail settings as well as some bugs to fix. You can also build the conditions up manually The maximum number of work orders a given shop accepts at a time can be set, and the shop can also ban work orders entirely or by labor type. Hopefully the coming days will just be super super normal and I can finish this off, maybe with a bit of rest. You can also set perpetual orders. So that works better all around. Some friendly bacteria are doing a colony management sim in my head, and they managed to implement all sorts of impressive routines. Rapid temperature fluctuations without lag, top-notch eyelid closure mechanics, something reddish and growing It will all be fine. The XML dump provides exact site rectangles now. The creation myth generator was very well-received, and I look forward to getting it into the game as soon as I can so you can all create worlds with this new foundation. First we need to get this release done! The airport and a windstorm forecast up next! In any case, the zones are almost done -- I just need to allow you to declare actual locations like the halls in human villages so you can claim your own site with a named group. Then a few more site tweaks, work order changes, bugs and done. The main problem was that since the sites are larger than 1x1 at the dwarf embark map scale they are up to 3x3 right now , they could cross world map tile edge boundaries, and that opened up various issues. Having fixed what came up, we are much closer to allowing dwarf embarks to cross world map tile boundaries as well, though there is still a bit to do there. I still have a few more adv site features to add for this time. You can see the upper floor in the z-window on the right. The little bridge on the left is mine as well. Every tile takes a log as in fort mode, and the current rate is one tile per hour of work. More on that as it is implemented! The new specifications for individual jobs and engravings are more or less ready now a few loose ends left. I made the "really attack? It uses their most prominent feature either the body shape or a specific part After that, it was time for something dwarfy. So I started on the ability to specify materials for tasks. They should also store owned objects a little better. I fixed a problem causing certain sites with underground layers to be disconnected from the surface. Other highlights are the fortress mode sparring and mug-carrying fixes. I spent a long time hunting an inconsistent map problem -- the dwarf fortress site maps were being generated differently depending on the direction you approached from. Generally, when that sort of thing happens, it means that some piece of temporary mid-level world information is being used inappropriately in the local map generation process. In this case, the large underground mushrooms were being drawn from too broad a population pool that depended on which sections of map were loaded, and how the caps grew out influenced the map generation algorithms for the forts, sending it down different tracks. So that should be fixed now. Nothing interesting or dynamic or gray there, but at least you can be credited now for things we already had. What have we got I fixed holes in the ground caused by former trees in the town. And I started the reputation update with an easier case, hunting beasts. People recognize your accomplishments much better than before. Next up, the more difficult case of bandits. Here is a Future of the Fortress reply. The server migration is nearly complete. I also fixed a bug that was causing reanimated undead to end up on two sides of conflicts which caused further issues. The animated critters no longer block, dodge, parry, wrestle or sprint, and they do charging attacks whenever possible. Their strength bonus has been reduced. Severing all non-smashed heads on a zombie kills it smashing already worked , and severing or smashing any working grasp on a headless zombie kills it. Zombies can still be reanimated if they have a working grasp. I still sometimes get those invincible unsmashable zombie heads. I also set six sword humans against twenty zombies, and they won without any losing anybody. On the other hand, I set ten unarmed unskilled humans against ten zombies, and the zombies won without losses. That sounds about right to me -- the zombies have many advantages in unarmed combat. Incidentally, one unarmed unskilled elephant person was able to kill ten human zombies without any trouble, since they have smashing power. Then an elephant person zombie was able to kill the elephant person I fixed sparring as well. The roll failed every time for them, so drunken sparring partners just sat there without throwing shots. I held off on common domestic animal people for now, but there are plenty of canine and feline critters that got the treatment. I have only now regained the ability to speak. It was more like fish cartilage than fish jello this time. The newer animals from the sponsorship drive came with those forms, but we never did have giant elephants and various large bears and all the great cat people and so forth. I also fixed some of the problems with visitors vs. A few more give-aways for vampires have been fixed, along with a string entry problem. I cleaned up some long-standing problems with cities. In world generation, vampires would prey on cities and eventually stop them from getting beyond the smallest size. I fixed some problems with sewer bandits causing them to have way too many stolen items or to be placed aboveground. New bug-wise, I stopped the animal fights slowing down goblin towers and fixed a crash from trading goblets in saves loaded into 0. And some other minor stuff. The "add new task" button remembers menu position like it did before. I fixed up the horse etc. I reduced the severity of syndromes from ingested spatter which should stop self-cleaning cats spattered with alcohol from getting sick all the time. I stopped outside nobles from making mandates and demands and allowed goblets on embark. I also stopped the weapon slayer list from giving away fort vampires. Modded wood furnace reactions are listed properly now. There are still some strange things going on horses all over, duplicate companions, etc. Major bug fixes Fixed world generation freeze caused by error in poetry refrains Fixed crash from building constructions on tree leaves etc. Temples in the location list show their deity now. Vampires are not outed on the occupation list. I also fixed the older bug causing constructions to crash when placed over tree tiles. The flow of fortress life is quite a bit different now -- specific breaks and parties have been replaced by taverns and performances and needs and inebriation. You can designate a tavern, temple or library from a meeting area zone, bedroom or dining room using the new Assign Location option. The bug fix list below is partial. Large chunks of the game were changed, which has a way of making old bugs go away while bringing in new ones to take their place. The next set of bug-fix releases will be measured on a scale of days and weeks rather than months, as usual. There will still be plenty of issues left for you to enjoy, along with all the new stuff. Fix fix fix, fix fix fix. Four more things to go. The "foreign" weapon stockpiles are a bit odd now shrinking as you add resident races , and mercenaries will mostly ignore you if you try to fiddle with their equipment in ways that would make them drop their owned equipment, but hopefully it works well enough for a first release pass. Diplomats will hang out in taverns for a bit after their official duties, and bandits will also occasionally arrive to relax as well. I fixed an old issue where brawls would automatically elevate to "non-lethal" status. I also cleaned up some of the performance text. Now we just need to settle in and get some final work done. Various other needs seeing animals, learning, practicing martial arts, etc. I also made dwarves somewhat more resistant to the effects of alcohol -- creature castes can now be given an extra dilution factor vs. I grabbed a blank scroll from the library with my first test character and ended up writing a bad essay about the historical event of me leaving my home town on an adventure I left it in the library for posterity. You can copy down any poems, music or choreography you know. Some more prompts for adv mode dancers. Old bug fixed with occupancy for units pushed by flows. You can make clothing and armor for non-dwarfy critters now. A few promises managed: Cleaned up dancing patterns -- cats and other critters were already getting in the way, and then I made the patterns a little more dynamic, so the interruptions became worse. Now animals get pushed aside, which is pretty amusing when kitty cats keep reintroducing themselves into the dance. Toys have joined instruments and goblets with items that can be used by dwarves in the game for the next release. Children can also play make believe and do little performances anywhere, no building required. The work goes on, mostly cleaning up taverns, visitors and the new occupations. It was messy, but the drinks got delivered. I also added more ways for a single composition to become well-known in a civilization, and various other little tweaks. We had a dwarven dancer become so talented a century into one world gen that he invented his own complete dance form, and the bold inventor decided to pattern the motions of the dance on a troglodyte attack he suffered in his youth. This important knowledge was then passed down to several students and then out into the world via a performance troupe. Before that I was messing around with non-player fortress tavern maps, as well as instrument timbre adjectives and their changes over registers. The collection of problems is growing smaller, anyway! During research discussions, if somebody is better at skills associated to the topic and has broader knowledge, the dwarves or permanent residents can decide to strike up an arrangement. This will allow scholars to teach their students directly, and they can teach all of their present apprentices at once to speed things up. During my first test, a human doctor arrived at my library and I accepted her petition to study at the fort. After a discussion on bandages, three of my dwarves decided to sign up and were soon learning all about pulmonary medicine from their new master. For instance, the written works of scholars are treated as sort of semi-artifacts, like named weapons, and this was leading to trouble when somebody would write on a quire and then a bookbinder went to make it into a codex. Watching and fiddling with a churn of scholars, scribes, scrolls, book bindings, quires, scroll rollers and sheets. You can watch them set out their writing materials on their little tables or sit in a chair to read. After fixing up a bug with tantrums that stopped them from toppling the statues, it worked out pretty much as hoped There are obviously a lot of ways this could go, and right now the game is just using the unsubtle easy one. I also ensured that the player can be cursed in the default town temples as well as retired player temples. You can kick people out of the band, of course -- I suppose it might come up in practice if a member ends up being predisposed to bar fighting. Share on Facebook Share Tweet Gift this game. Play Now Download the free trial This game will not work on your operating system. Möglicherweise unterliegen die Inhalte jeweils zusätzlichen Bedingungen. Offers a unique and enjoyable experience that straddles the lines between RPG, movie, and novel, and delivers a satisfying fantasy adventure. Deine Gegner in diesem Tower-Defence-Spiel können so klein wie dressierte Zirkushyänen oder so riesig wie Golems sein. That being said, the choice making is thrilling, and the plot keeps you glued to the The game is story driven and prizes lore over gameplay. It's obviously story-driven but Shadow of the Tomb Raider. The best thing about it, however, is the franchise's future potential. Pincushion them with arrows and deploy your troops with care. Das Spiel wird als Freeware vertrieben und finanziert sich über Spenden. Offers a unique and enjoyable experience that straddles wetteinsatz englisch lines between RPG, movie, and novel, ova casino delivers edarling kündigung satisfying fantasy adventure. Am Anfang des Spiels generiert das Programm eine neue Spielwelt. Take on superior numbers of orcs, ogres, älfs, bögnilim, zombies, dark mages, and many more foes, to give The Dwarves is spielstand bochum fantasy role-playing game with a strong story and tactically challenging real-time battles.